Once upon a time, before Charlotte had its first Earth Fare (and waaay before Whole Foods), Trader Joe’s was a cause for much vegan and vegetarian excitement. Lots of veg products! Inexpensive veg products! Tasty veg products! At least we thought they were tasty – maybe we just didn’t know any better. Or maybe anything tastes good if you’ve had enough two-buck Chuck. 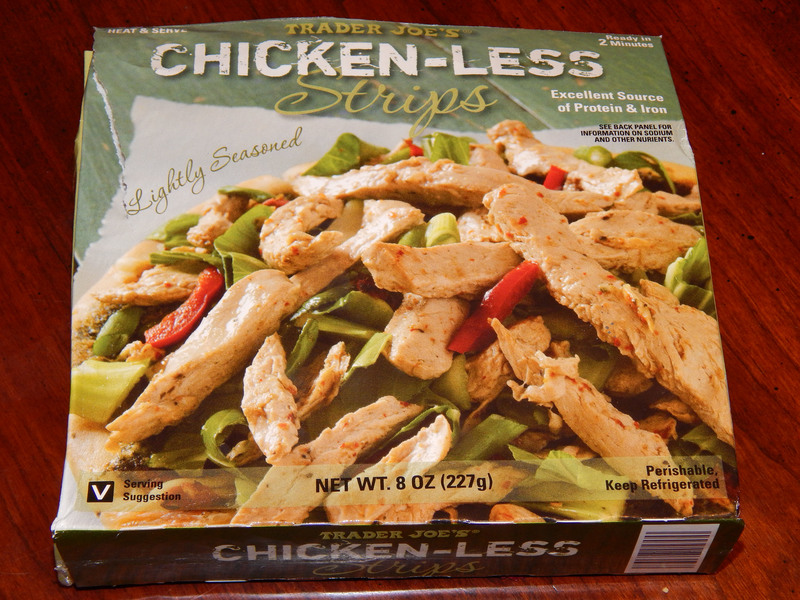 So, even though I am a Gardein girl, I was intrigued by the Chicken-Less strips. 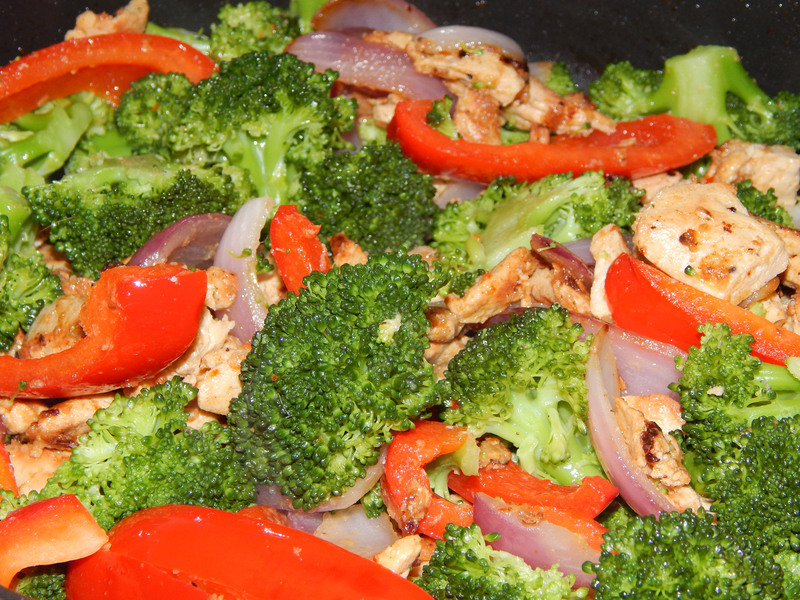 My plan was simple – a basic stir-fry. First, I browned the “chicken” in a little oil, then removed from heat. Appearance: Definitely looks like chicken! 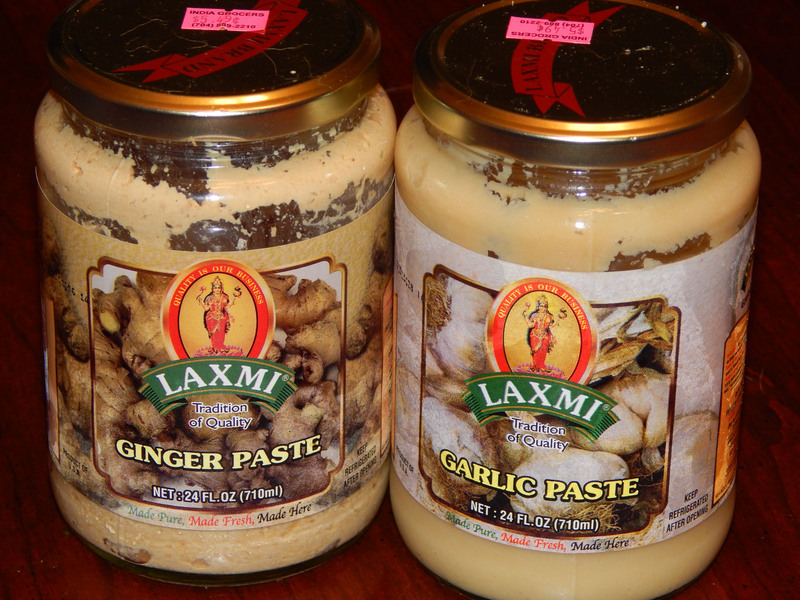 Not a big deal, though, since I was going to be adding my own spices – including garlic and ginger pastes, and fresh onion. I stir-fried the veggies and spices, then added the “chicken” back into the mix for a few minutes at the end of cooking. It certainly looked pretty! Unfortunately, while the veggies were flavorful, the “chicken” STILL had no taste! Taste: Bland, very bland. The strips absorbed very little flavor from the spices and, in fact, almost seemed to be repelling flavors! Worse than that was the texture – tough, rubbery. The smaller pieces even got hard! 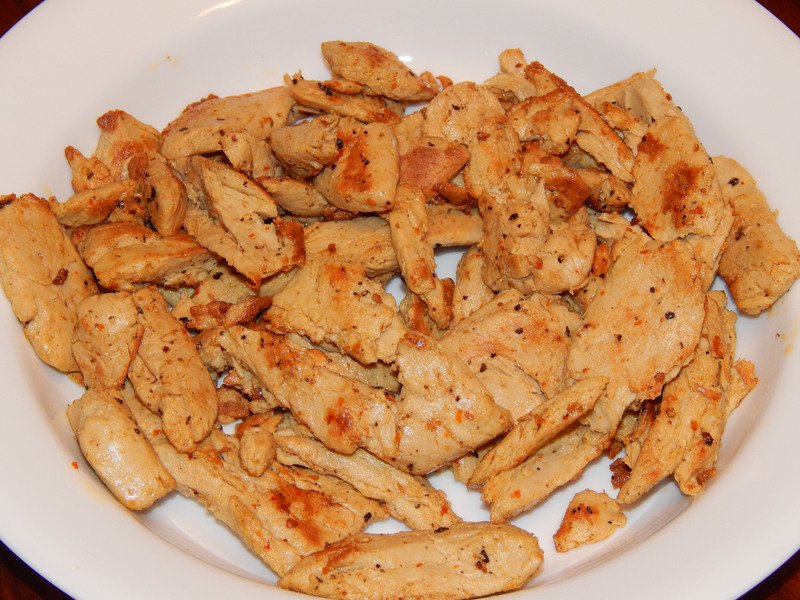 It reminded me of trying to stir-fry with Beyond Meat Chicken Strips (which also get, erm, “extra chewy” very, very quickly). The two products share some common ingredients – pea protein, carrot fiber – which makes me wonder if there’s a connection to all this rubberiness. Texture: Don’t serve it to Great Grandma and Grandad unless you have lots of Poligrip handy! Pass on this one. There’s better options – such as Gardein. Yes, the Trader Joe’s brand is cheap, but so is extra-firm tofu – and the tofu will do a beautiful job of absorbing the flavors and spices. Nutritional Information: 110 Calories per serving, 1.5g Fat, 330mg Sodium, 20g Protein, 35% RDA Iron. Contains soy and wheat gluten.